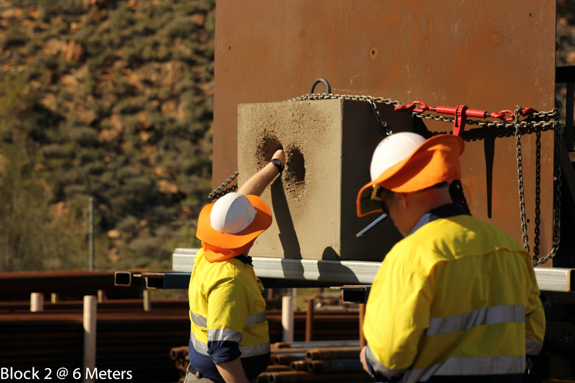 No longer a science project, borehole mining is proving itself as a workable technology that can be applied to a number of industries. 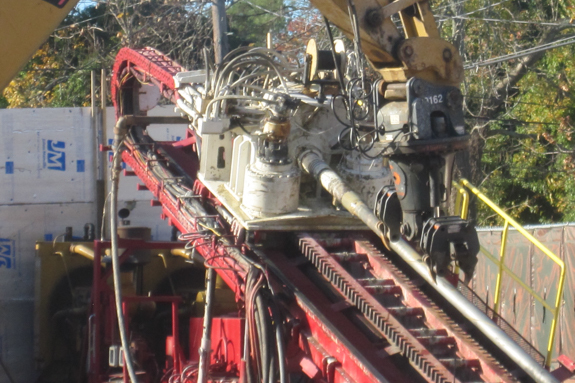 Hydraulically jet-cutting a cavern of rock 20 feet in diameter from a drilled bore hole allows this system to recover resources previously uneconomical for open pit or underground mining operations. The technology also has applications for creating large scale low damage underreams for gas well completions and is effective for mining and removing resources that cannot be dewatered. Selective mining from surface can target resource bodies 1,000 feet deep. 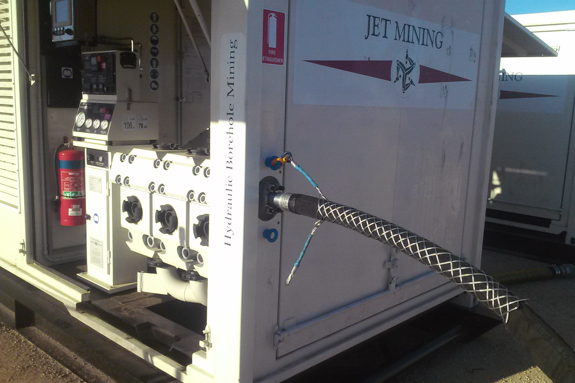 Short cutting time eliminates rig and pump costs for well cavitations and air shrouded jets, to increase submerged hydraulic horse power. The system utilizes low energy with proven hydraulics air-lift. The system has distinct advantages for certain applications. It eliminates diamond damage. The wet lift controls dust for safe uranium operations. The submerged operation allows coal and kimberlite access from flooded access. Kinley has designed surface separation and recirculation equipment and has utilized proven industry standard jet technology. 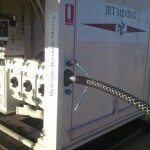 Jetting softer rock will normally mine at 4000 to 5000 psi. High pressure jet pumps will operate at up to 15,000 psi. 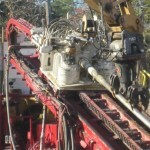 The system’s multiple applications include: Bulk sampling of specific pay zones in Kimberlite pipes; Mining coal at up to 50 tons/hour from previously inaccessible targets; Mining narrow kimberlites previously uneconomical due to overburden strip ratio or water; Jet cutting both wet and dry resources; Mining of uranium ore not technically feasible due to economics of access or safety of personnel.